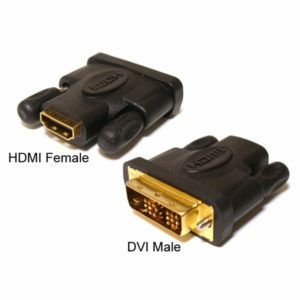 An adapter to convert from HDMI Female to DVI Male. Construction: Black, moulded, gold plated plugs. Supports 1600×1200/60Hz (UXGA) und Wide Screen 1920×1200/60Hz (WUXGA).